Old gold color. Decadant nose, striking the nose with the very best of what a Grande Champagne cognac can offer. Tantalizes with hawthorn and bright notes of oak and licorice. Then currants, candied apricot. In the mouth the attack is fresh and tasty, soon giving way to nectar and and explosion of spices. A satisfyingly long finish. Complex yet balanced, it's best enjoyed with plenty of time to explorre the taste sensation it brings - and one that the cognac connoisseur will be most happy to explore. 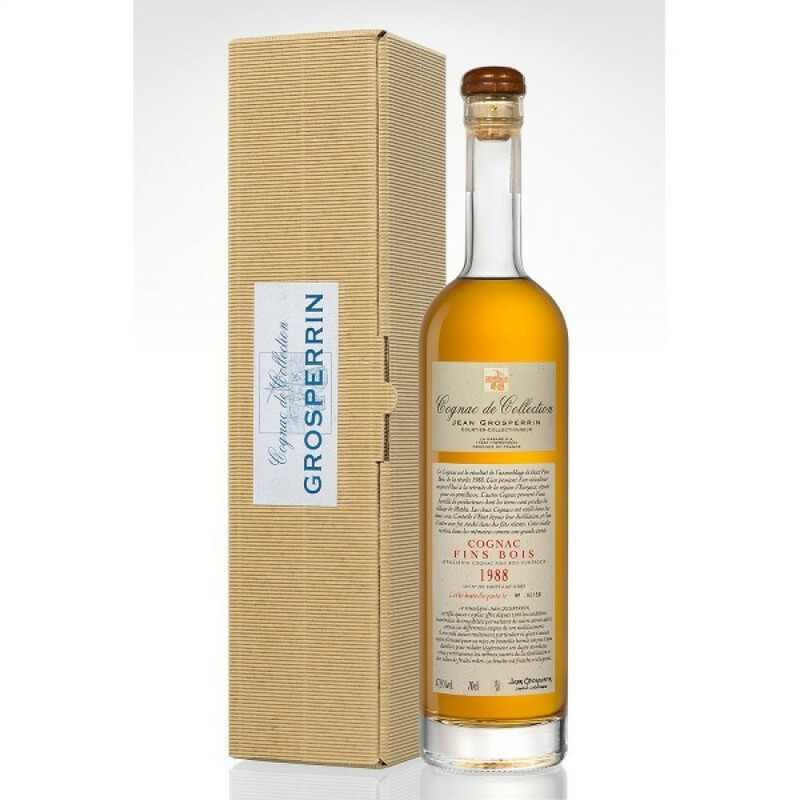 It comes presented in a traditional style cognac bottle and presentation carton.